Why you must come to the European Slot Summit in Bucharest - Casino Inside - The gambling industry magazine! As you know, from June the 9th to 11th, at the Novotel Hotel, will take place one of the most important events dedicated to gambling in our country. If you have been to their events or not until now, you must keep in mind that each year a new European city is elected to be the host. This time Bucharest was elected, and it is the first time that this event is held so deep into Eastern Europe. 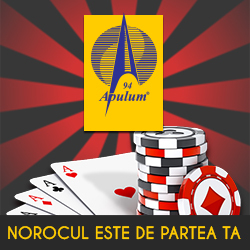 Obviously, a lot of high-ranking representatives of the leading companies in Europe and worldwide will come to Bucharest to attend to this event and, of course, they will be interested to know and discuss with the representatives of our gambling industry. The benefits. Sure, a better knowledge of the gaming space in Romania would be beneficial for both sides, both for foreigners and for us. But I don’t think it will happen so often for an event such as this to take place in our country. And the benefits are particulary ours, for our companies. Rather than travelling the world spending money on airline tickets, accommodation and meals for 3-4 days, I think it would be easier to come to the Novotel. It’s not somewhere far away, it is in our downtown. Here is not equal to There. I am sure that you gentlemen know your business and the realities surrounding it very well, and you don’t need anyone to tell you how to handle it, but if you apealto reason instead of your ego and you think on medium and long term, you’ll see that the opportunity of being at the European Summit Slot is greater for you than let’s say for a Norwegian, for the mere fact that this event takes place at home, in your own backyard. For a Swede or a Spanish that goes to Paris or Berlin for such events, this has become a trivial fact. There, businesses are going well, true the profit margins are not so great, but surely law doesn’t change there every year, and the business environment is stable and they can make a long term business plan. Our interest would be for them to find new business opportunities here as well, for them to get to know the companies here. And then, I think they want to find you in the hall during the three-day Summit, so that they could meet you and to be able to build future bridges of communication with you, and why not, collaborative partnerships. Knowledge. The information provided and communicated at such events are great for your business even if they come from an environment of business different from ours, but you’ll see that there are always similarities between our gambling markets. There were people who, having attended our Slot Business Seminar event last year, have said: “We have applied what Mr. Wijsman said at the class and we were successful, that was shown in the revenue, as well”. It’s great to see the abundance of topics that will be addressed in those 3 days in June: Multi Media in Casinos, Gambling Marketing, Gaming Hall Player Profiles, and the Mathematics of the Games, including the establishment of the odds in the betting agencies, Communication with our players, the Design and development of a Game. The ambience of a gaming location and its associated marketing, real-time data processing, our ability to store such data and knowing what to do with them, Performance Analysis of the Multi-Games, Server-based Gaming, Surprise Jackpots and Prizes (Mystery Prizes), plus discussions related to the Romanian gambling legislation and the business opportunities offered by the market in our country are just some of the topics addressed at this Summit. The people. Consider that you now have a variety of speakers, speakers that will communicate their knowledge for 3 days, from morning to evening. Only if you think that Marco Herrera, Vice President “Bally Technologies”, Aleksey Belinskiy-General Manager “Steelman Partners Europe”, Arjan Korstjens – Director of Strategy at QUINCE Amsterdam or Chris Dempsey from “Intelligent Gaming Systems” will be there, and I am convinced that you will have 3 excellent days. You may have met these people before, or not. You may have heard this information before or not. We don’t know what and how much information each of you have, but we are sure that with this diversity of knowledge you will be able to select those things which are most important to you, and it is possible that over time, some other things that will be said here will seem interesting to you and applicable to your business. You just have to have the wit to sort them and confront them to your business reality. But do not express your opinion unknowingly. Don’t be reactive to information just because you don’t know yet where to place it in your matrix of values. Be wise and think on medium and long term. Not all will have the opportunity you’ll have on June 9th, 10th and 11th. This amount of knowledge could make a difference at one point. You should be the one in advantage, do not let another take your place. Invest in human resources. I don’t know, maybe it’s a problem of mentality, or maybe not, but this kind of events can help you overcome the never ending gambling law-related issues and start to do business for real. I know that the legislation issue is a thorny one and the law does no one denies its importance at the moment, but please, get over it and look to the future. And the future will rely on the human resource and the way you take care of it. Events like the Slot Business Seminar conducted by us or the European Summit Slot by Clarion Events and Slot Academy are not daily ones. Is not every day that as many prominent men gather to Bucharest to discuss gambling. Invest in you and your team because in the end the one who has the most educated and informed people will be on top and not the one who has more or the best devices or rooms. The price. I find that the investment to come to the European Summit Slot is well adapted to the Romanian reality. Especially that the organizer has offered a 20% discount from the initial price. In addition, the money for the three days of intensive training, also include lunch and dinner, plus evening entertainment. Therefore, I do not think the price would be a problem. At the end, when you draw the line, you’ll see that you get a lot for that money. Socializing and Networking. In our opinion, the most important thing you’ll appreciate at this event is the advanced degree of socialization and networking that you can get after these 3 days of the event. We are convinced that it all comes down to you meeting new people, and to the fact that they can be part of your network of knowledge, potential business partners. Consider that during and after each event day you have a chance to know the most important people in your area, who can help you in your business, investors who can invest in your business. Why would you dismiss such an opportunity? I don’t think you will. Dear partners, I know for sure that you are too smart not to see that there are only advantages and opportunities everywhere if you come at the European Slot Summit in Bucharest, June 9 to 11 at the Novotel Hotel. Think of everything I have said above and take the right decision: COMING to the SLOT SUMMIT!